For over a decade, Sign Language Services, LLC has provided interpreting services to the Deaf community in the South Jersey. Now under the guidance, direction, and leadership of owner and coordinator Mrs. Rachel Matthews, the agency was renamed to Integrity Interpreting, LLC, Mrs. Matthews brings her core values of honest, ethical, professional, and reliable interpreting services as well as over seven years experience as a certified freelance sign language interpreter to the deaf and hearing communities in South Jersey, Pennsylvania, and Delaware regions. 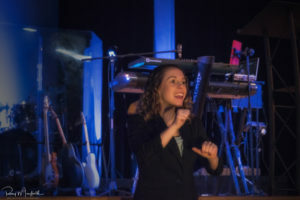 Rachel Matthews, owner of Integrity Interpreting, LLC, has extensive training as a certified interpreter by the Registry of Interpreters for the Deaf (RID), as well as legal training in specialized settings. Mrs. Matthews graduated from Camden County College with her Associates degree in Deaf Studies and Applied Science in the Interpreting Program. After completing her degree, she pursued a Bachelor’s degree in Communication Studies through Thomas Edison State University. Having dedicated her life to advocating for the deaf community, Mrs. Matthews provides professional, quality, and experienced services to all of her clients.